PETALING JAYA: A property development industry player has warned the government that peer-to-peer crowdfunding platform FundMyHome could end in catastrophe, as did similar lending schemes in China. Ernest Cheong, a chartered property surveyor, said political secretary to the finance minister, Tony Pua, might not have sufficient commercial experience in property management to foresee such an eventuality. “Tony Pua is a politician and an academic. The developers who are convincing him to adopt this scheme are seasoned operators. They are doing this to save their own skin for the next five years,” he told FMT. Cheong was referring to a Bloomberg report last month which reported how China’s peer-to-peer lending schemes had crashed and destroyed lives. He said the FundMyHome scheme was similar in concept and platform. Under the FundMyHome scheme, buyers pay 20% of the property price. This will then be placed in a trust account to pay the 5% annual investment return to participating institutions, including banks, for a five-year period. The balance of 80% will be contributed by participating banks. There is no monthly repayment for the first five years for the buyers. After this period, buyers can sell the home, buy out the remaining portion of the property not owned by them at market price, or refinance the home. 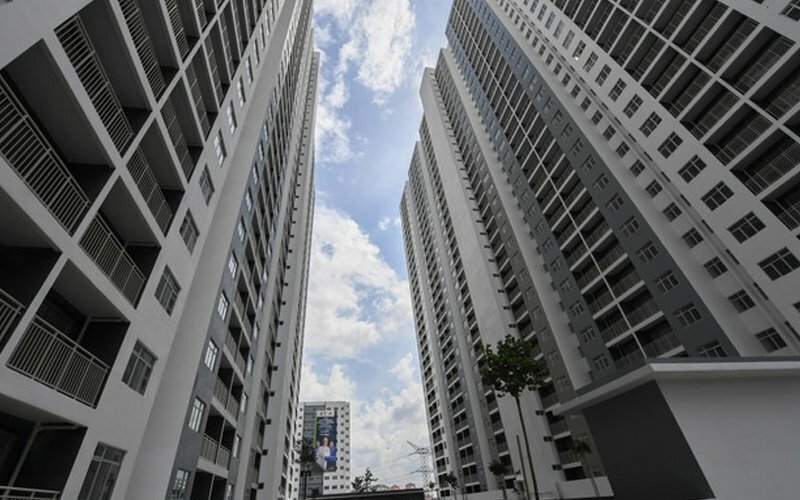 Cheong agreed with other critics that buyers could be tricked into paying more than they should due to hiked-up property prices. However, he added that larger risks lay in the banking sector, which could have implications on the national economy in case of a financial crisis. “The banking system might be in trouble because they are lending 80% of the house price to developers. “In five years, let’s say the developer takes RM100 million from the banks. Do you think they will put that money in a fixed deposit as a measure to refund the banks if the buyers don’t pay? Cheong also voiced concern that the guidelines set by the Securities Commission might not be able to save the economy from collapse if the FundMyHome scheme turns sour. When asked about the option of refinancing the property at the end of the five-year contract, Cheong said it would not work. He said he believed the value of property would not increase five years from now. Cheong said peer-to-peer crowdfunding platforms for the home financing concept would have been successful if they were introduced in the past, when the property market was more stable. He said this was not the case in 2018 as property values were likely to decrease. Adding that the decline had already started, he predicted that prices could drop another 20-30% in the coming five years. He referred to the 1997 financial crisis when vacant land saw a drop of 75% and residential properties fell by 30-50% in market price. “What is going to happen is going to be worse than 1997. I don’t know how the sale and purchase agreement is structured. But I am sure it will be structured in a way that you will still have liabilities. “There will be a penalty if you don’t pay the balance in five years,” he added. Cheong said the government had to choose between “saving” the economy or the developers, adding that then it shouldn’t come to the rescue of developers even if they are facing financial ruin.